My interest started many years ago when I was a little boy in yorkshire, my mum used to work on a farm helping with weeding hoing and potatoe picking and sorting it was hard work for her and her friend who I used to call auntie Margret. I have fond memories of running round the farm and playing in the hay loft but most of all when I used to drive the tractor up and down the field. I was only about 8 Peter would put it into the furrow and set the throttle and I would proudly drive it down the long fields while they all worked behind it was a little grey fergie, not sure which model but the sights and sounds of that time period have stayed with me. Mum worked at the farm cos she needed to make ends meet as did my auntie Margret; it seemed fun to me but was a means to an end in those early days of the 60s. As I got older I used to work on the fields myself spud picking behind the old fergies and pea picking – kids dont know there born these days but it was a great time. The nostalgea has stayed with me, I recently went camping in the snowdonia national park as I live in wales now, and the chap that runs the camp had guess what? an old grey fergie to help lug stuff around. We got talking about old times and how things have changed not for the better I think, anyway when I got home i just happened to ask our local farmer if he had an old tractor tucked away and he did. He had an old ford dexta one thing led to another and I got it for restoration the engines in bits front ends all over the yard and I’m hoping to put it together this summer. Its not a fergie but it is old and nostalgic just like me and I’m loving it having a piece of history, I’M COLLECTING LOTS OF IMPLEMENTS FOR IT and I’m gonna use it in my woods – the grandkids are gonna love it. If you have enjoyed reading this and you have a super dexta give us an email. And YES, Anthony originates from Yorkshire and he keeps ferrets! 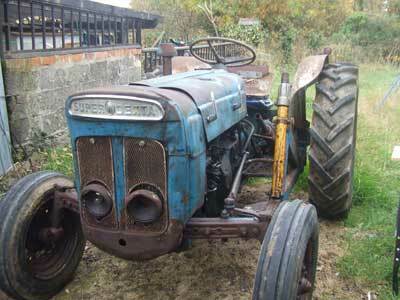 Many thanks Ferretman for sending in this story of your childhood tractor momories. 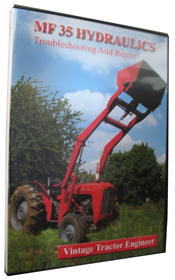 It made good reading and took me back to my younger days loading bales with a Fergie, spinning and hand picking potatoes with a Ransomes spinner, leading bales and mucking out. All using a Ferguson. Hi Max and Anthony. Am in N. NSW Australia, After finding the restoration video on VTE for the Massey 135 and stumbling into Anthony’s post on the Fordson, I am further inspired to look at the old blue dexta in another light. Thanks for the inspiration. Quite a job but nothings impossible as they say. 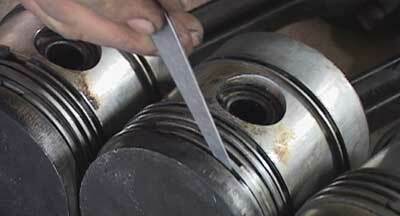 Some sand blasting may be required….Will get back with some pics. 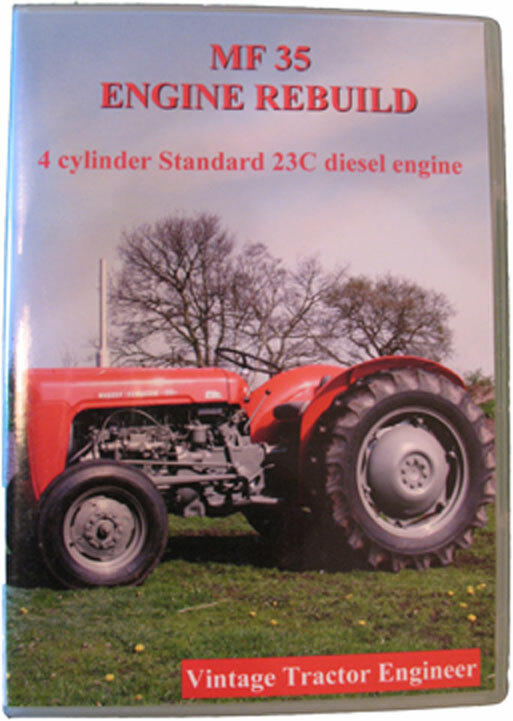 Max, the tractor is in fairly original condition, let me know if you need any specific pictures before I pull it apart. Anthony, I found our stories parallel of our childhoods. I too was a farm child quite distant from you in Coats, North Carolina. I spent time as a babe at the end of tobacco rows in the shade and care of an older sister as my parents raised the golden leaf. I was driving tractors from age 6 in the fields. 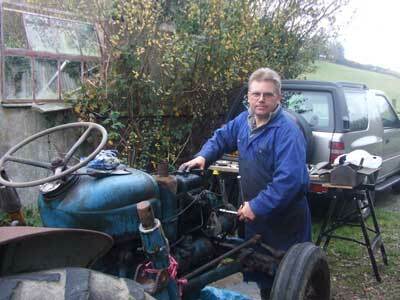 Today at 63 I am restoring one my fathers Dexta tractors I was left with. I wonder if you might have any kind of picture of the proper mounting of the proof meter, shroud, so they clear the original voltage regulator inside the compartment. I was raised on this tractor but I cannot remember how the missing proof meter was mounted so as to clear the internal voltage regulator and how the shroud came into play? Can you share some pictures of your dexta with proof meter mounting? ?